I wondered if anyone has tried any tri-specific 5/1/5 assessments in a brick format or whether there would be any validity to it. 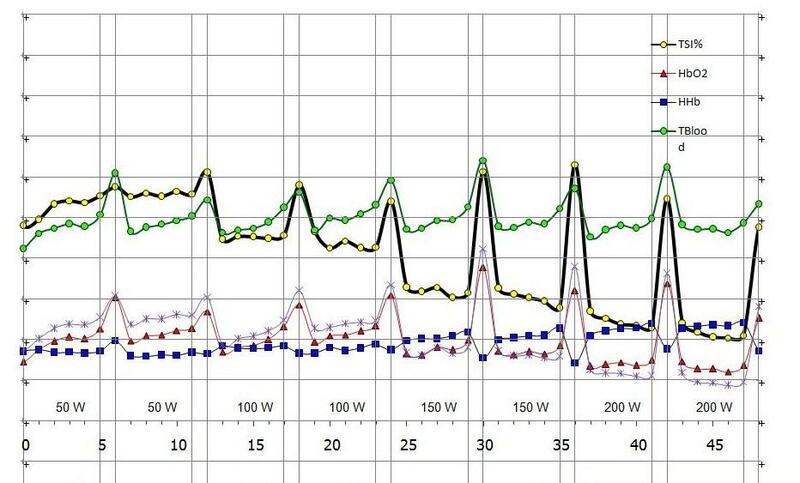 The reason I ask is that if an athlete were tested in sport isolation example bike one day, run another they may be working in inappropriate zones (assuming our athlete does not have a personal Moxy but rather used the assessment zoning) than if they did a bike/run and we saw how the limiter in one sport directly affected the other. Sandy excellent point and it shows that you moved far above and beyond classical thinking in physiological terms.. 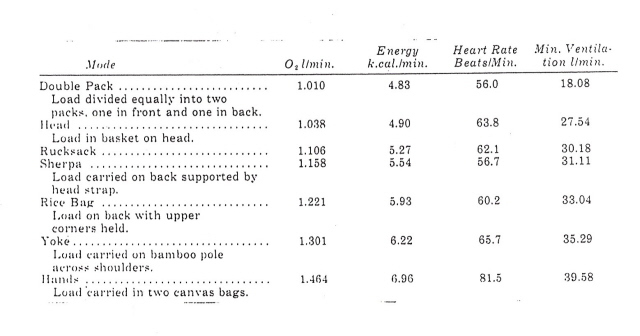 When you think that still today most top labs argue, that we can make VO2 max test on a bike or treadmill for nay sport. So we have this ridiculous situation, that NHL players get assessed on a bike to make conclusion on what they will bring on the ice rink. Same with NBA players and so on..
We have downhill skiers who get VO2 max tested on a bike and figure skater, who get tested in running. Now body ever would try to talk a Pro cyclists to get tested In a swimming pool or a marathon runner on a skate mill. It may be time to understand , that assessment to design individual training ideas have to be done in the sport your athletes like to compete.. There are some as usual exceptions, where i would assess a runner on a bike or a ice hockey player in the water. I will sent you some ideas we put together for triathlon over 20 years back in your quest for assessing in bricks as well for your ideas on how to train muscular without loading respiration or better overloading respiration as well as isolated or more focused cardiac workouts. We did again many years back with Dr. A. Sellars one of the worlds leading and advanced triathlon coaches some interesting studies in Joshua tree, where we " abused" a world class athletes and assess with live feed backs of Physio flow and NIRS and VO2 the same athlete on very different activities , from upper body UBC cycling erg to stair climbers to elliptical to bi3k to run and so on. . Many of this information than I paired what we did in Spain and Italy in our bike running and triathlon camps and this is the result of it, using a small simple tool and get not optimal but pretty closer to feed backs we got with the combination of all of this toys. Here a great overveiw in the "complexity" of assessing live all the different systems at once. Than there are different indexes and an opportunity to actually calcuate MVO2 or the amount of O2 the heart itself is using. If we have that we than can play with a combination of respiratory feedbacks and see how they interact with cardiac feedbacks. so below an inside view in the same athlete live on respiratory actions. To make a long story short you add NIRS to it and than you start playing live and see all in front of you how NIRS datas change when we influence respiration or cardiac out puts. Here to complete the picture. Got a fast responds . Question was. Where are the lactate data on the graph. 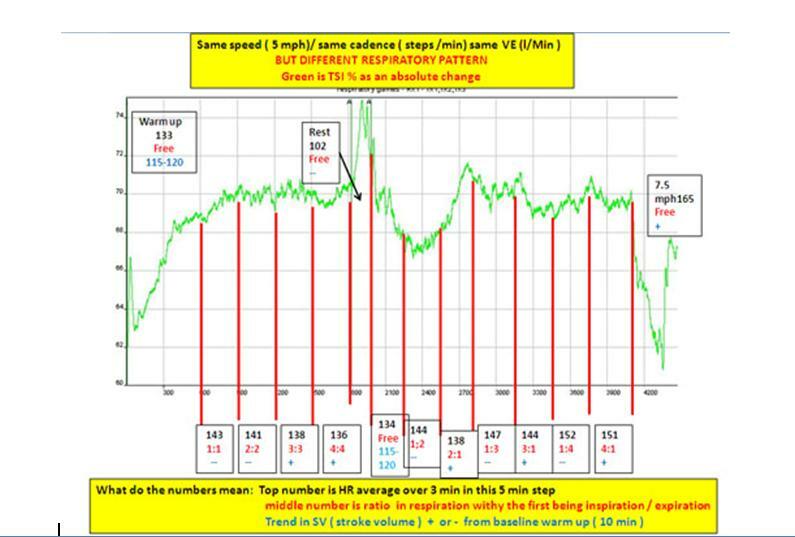 On the graph I showed w there are non but here an other example with lactate feed backs from a 5/1/5 and you can see, how lactate changes despite same load at certain moments as a very simple example how step length directly influences lactate values and as such using lactate values to create something we called LT is a very interesting concept with many and more and more question marks ??? than if they did a bike/run and we saw how the limiter in one sport directly affected the other. You may have depending on the activity different limiters and compensator as we may find out with our Teheran VO2 example. So you can find with a sport specific assessment the limiter in running, which may or may not be the limiter in swimming or biking. Now here as an example. If your running shows a respiratory limitation and your biking may show a muscular limitation, than you can use biking for muscular workouts and just push so you do not involved a compensator like respiration, because yesterday you may have done a run and pushed respiration.. Now you may try to use the bike to strengthen as well running motion so hip flexion and extension. You therefor could use a power crank ( independent crank system so you have to pull and push and many using Frank Days great idea come back and say , that they are surprised how it helped their running ability nearly more than what they expected for cycling. Than and that's what Sandy brings up. I often do a 5/1/5 by combining running and biking. How. I have a bike 5/1/5 and I have a run 5/1/5. I have a bike ARI STEI FEI and HII and a such wattage there and or HR. Than I have the same for running. So the brick 5/1/5 can be 5 min bike in ARI 1 min rest 5 min run in ARI 1 min rest and than 5 STEI Bike and 5 STEI run. and so on. Some times I change in the 5/1/5 so start bike ARI and than run ARI than again new level STEI RUN followed by STEI bike and than BIke FEI and run FEI and so on. So you can see how the run may help to recover the limiter form the bike and vice verca or whether it simply speeds up the body to fail as now non f the limiter is getting a real break. In ARI d this should be no problem in STEI the limiter I pushed but no compensator and in FEI limiter is pushed and Compensator is pushed Hope it make sense and it is a one step closer to understanding how you can load one system and try so an other one can get a little bit of a break. Perfect! This does answer both questions thank you. I will try this with a few willing athletes and see what we can see! I like that we can assess this way; I have a few athletes with their own Moxys who are becoming more and more aware of what their bodies are actually telling them so we are seeing things like how a workout they believed was a "recovery session" for example an easy swim session for one actually exhausts his diaphragm (respiratory limitation). From that we have moved things around so that swimming is not used as recovery after a workout designed to stress his respiratory system. In fact one athlete who decided to go off program added an extra two swims because he was feeling muscularly fatigued and it took him two weeks of easy, easy, rest and recovery to get his diaphragm recovered. Sandy, great feedback and great examples. he may in fact have a sore or fatigued leg muscles due to this respiratory limitation in running. So the respiratory weakness in running creates in many workouts in running a higher CO2 level like we had in your intensity run. 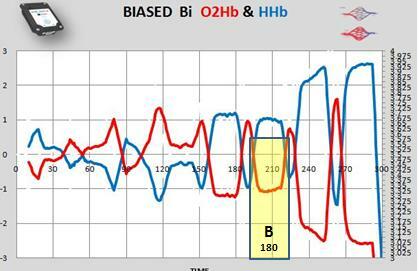 The higher CO2 ( hypercapnia) has the reaction that it shifts the O2 disscurve to the right. This will show up in lower SmO2 values so it shows a better utilization, due to the high CO2 level. On the other side he will have problems to load O2 so he will have less O2 delivery ( EIAH ) . This creates a different ability in metabolic substrate use , so he has more problems to integrate FFA and will use more often or easier glucose. So the " fatigue" he feels in his legs for example is due to respiratory limitation. and not due to overload due to muscular workouts.
. As he now is using swimming to relax his legs ( which may in fact work he on the other side does not recover his actual limiter the respiration. In fact in swimming he may even increase the hypercapnic reaction and for sure, when he swims relaxed, as he may have a ratio of inspiration to expiration timing of 1 : 4 or even longer. Depending on the way he may breathe he even ads some expiratory resistance the load as he may exhale into the water. Now , as Andri points out , and as you do , this is very individual. You can let go leg work with a poolbouy or other ideas. The fact is, that in this specific case the limiter will be even worse on after all the " recovery". Hope it makes sense. I will come more an more here ( avoiding cook books ) but giving some ideas on what we do. So how do I use a 5/1/5 to , as Sandy asked , to reduce respiration load but increase muscular load , or how do I train cardiac ideas on cardiac muscle development or even cardiac capillarisation with not always overloading respiration. Now here an initial feedback so you can see how respiration actually influences a lot in combination with cardiac reactions. Hypercapnia stimulates the body to release more O2 as CO2 is to high. Higher CO2 will show ow in MOXY as a drop in SmO2. CO2 increases blood flow (tHb ) will go up.. Higher tHb or return of blood to the heart increases preload and SV will go normally up and so on. Now here for MOXY users a simple game you can show to get the feeling for hypocapnia and hypercapnia. Mount the MOXY anywhere for example on a leg or on your biceps. Now breathe 3 - 4 Min normal , no crazy ideas. Than hold your breathe, as long as you can and see what happens on SmO2 trend . See time lag as well. Now here you will have a first question. If you are able to bring your body into a hypercapnic situation you will see a drop in SmO2. As well look at HR and HRV reaction. What will throw up a question is the tHb reaction , which in many cases will not react as expected tHb up but rather the opposite. Why ? 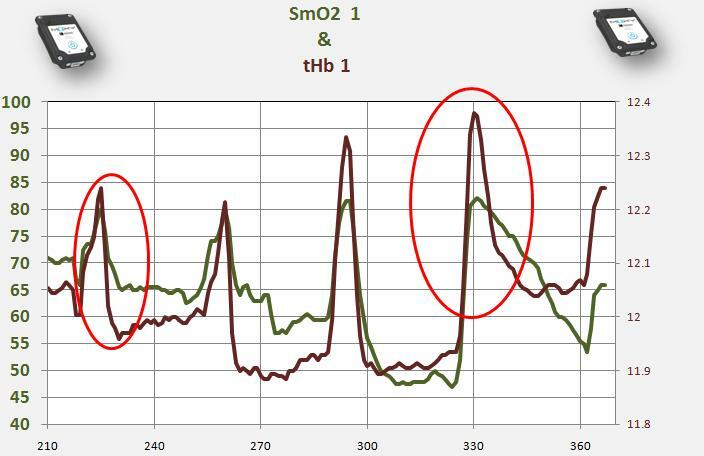 Than breath normal till your SmO2 and tHb are back to norm values as you started out. Now try to do the opposite and breathe hypocapnic and see again , whether you can trigger a tHb and SmO2 reaction. Needs some practice like anything. Once you are able to do this , do this on a bike or as you walk or jog and try it first in a ARI intensity, than in a STEI intensity and finally in a FEI intensity look always how you react and how you feel. This will help for the next physiological ideas of workouts. 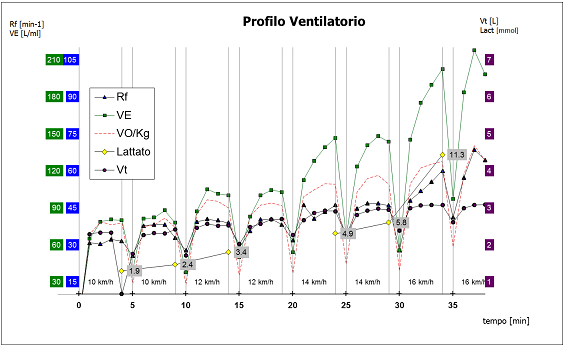 Here a very old case study we did with Portamon many years back and Physio flow to show you the reactions of respiration on SV and SmO2. Here is my first tri specific 5/1/5 test; it was fun to administer. My client began by cycling at 95 watts then ran at 7kph. I kept him running for the next interval to limit shoe changes and see if we could get some data from an undisturbed 1 minute stand. I eliminated the HR from this chart but have included it in the csv file. Sandy thanks will work on it and will be lot's of fun to see, what we can get out of it. Working on Sandy's challenge brick assessment. I am comparing it with many we did to see some similarity or not. There is one specific section which I have no clue yet what it means and I like to share it here so I may get some feedback on your thoughts. But first a short direction why we do this in triathlon. 1. If we have one discipline alone the limiter is clear and can be nicely targeted in that specific discipline , let's say running. If we may a multi task workout in one session like for example running and biking , we may be able to use one discipline to target one limiter but than have to dramatically reduce the performance in the other as the limiter in running may be a compensator in biking. So if we " overload" or target respiration for example in running as a limiter and respiration in cycling is a compensator for a muscular limitation , but the compensator in a run prior to the bike is overloaded, he may be in the bike now the limiter and not the muscle and therefor we have to change the performance load which is based on physiological loads as you now can understand whether than on a performance we assessed in a bike only assessment. So what can be a great opportunity to change specific targets , if we know them, can be a high risk of a severe overload, if we do not know them. 2. If we look coordination workouts the same applies. So the seems some ideas in triathlon. where certain coaches will argue that one discipline has priority to another one due to coordination challenge. I would argue that that is very individual and depends much more on limiters than on the coordination aspect first and foremost, as coordination workouts have to be done without pushing the limiters too much as the goal is coordination and not a metabolic delivery or utilization stimulation. So for coordination you like to have an optimal delivery and an optimal utilization in the proper muscle sling or muscle chain to have an optimal coordination workout. So before we look closer into the above possibilities I like to show you the overall view and one section I do not understand as of yet. Now below SmO2 and HR of the same workout. And below the end of the TIP in a closer view. So we have 2 B and last load was a run. Before the 2 b I left the second last run as well. Can you see, what looks interesting ? Now here the next interesting feedback we got from Sandy's studies. It confirms trends we see during our mixed TIP assessments. . I do lot of upper lower body ideas like upper body tip and lower body up top see the potential shift of tHb from upper to lower body. This is interesting to understand in any complex x sport like game sports ice hockey but as well in rowing and cross country skiing. Here a first glimpse on what I am looking for in a picture. Below you have biased TIP's . Top one the latest Brick TIP form Sandy we discuss here. than a TIP just form the same athlete in biking and than a TIP just running. 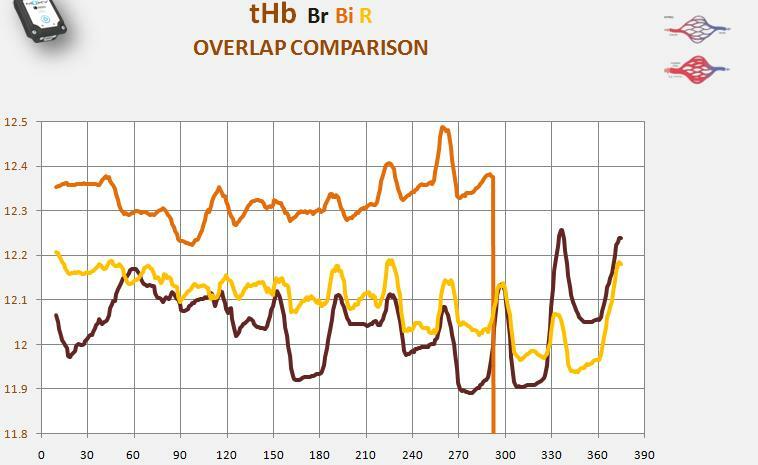 You can see, why I like biased O2HB and HHB option. Biased means I speculate all start by zero at the start so O2Hb and HHb are equal and now I look at the relative reactions against each other. 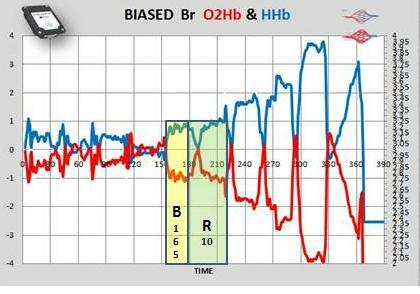 So if O2Hb ( red ) goes up I load more O2 than I have at the start and vica versa. So a increase in tHb above baseline indicates a increase in O2 delivery compared to the start and when red and blue cross I move into a situation, where I have now more HHb or less loaded O2 than at the start. So in running ( last graph you can see I always have a "positive" O2 situation with exception at the last load so it seems always decent great delivery situation during running. 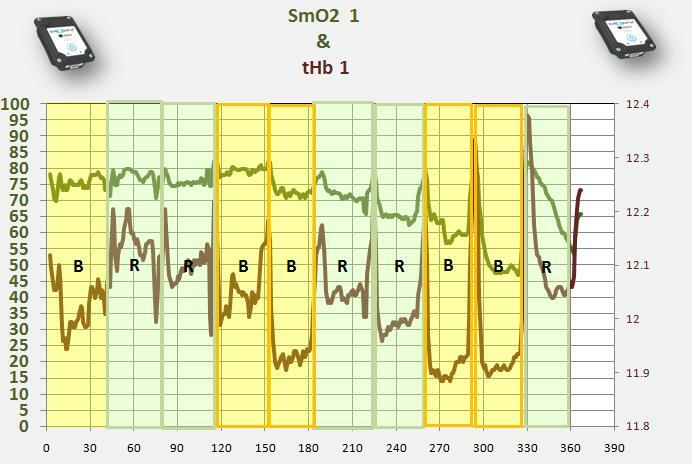 On the otter side in cycling ( middle graph ) I see okay delivery till the mid section followed by a change in O2 Hb so I have less O2 than at the start In the brick I have a very short section where I am just base line situation. as well you can see, that in the cycling only TIP even at the very low intensity start I started out with a " delivery " "problem and than recovered a bit in that assessment. Never the less in running there is not even at the start a " delivery " Problem"
Now let's look the tHb reaction as we looked at the biased one. Remember look at the trend only not the absolute numbers as we for sure not had the mOXY accurately at the exactly same place. Nevertheless the trend is very interesting and in the Brick tHb trend you clearly see where the bike and where the running loads where done ??? Okay like to get back to Sandy's interesting TIP of a Brick ( run an bike MOXY assessment. One of the Key questions in multi sport or activities, where different body parts are involved in different actions is on how the one activity may influence the other activity. Example here is run and Bike. but it could be upper body load and than lower body load and than total body load like we have in Cross country skiing . To make it an easy example I like to use a graph we showed many times on here but over time it may make much mores sense, when you see how we look at ideas. The kayaker and the runner are pushing in three different disciplines all out performance . Each discipline is tested on its own ability. But can you imagine how they may influence the performance if we would d mix them like Sandy did in her Brick. 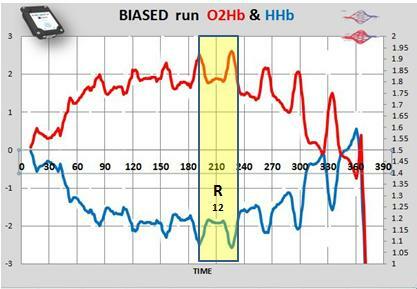 You can see, why we have some questions in the value of VO2 testing an than use a calculator. 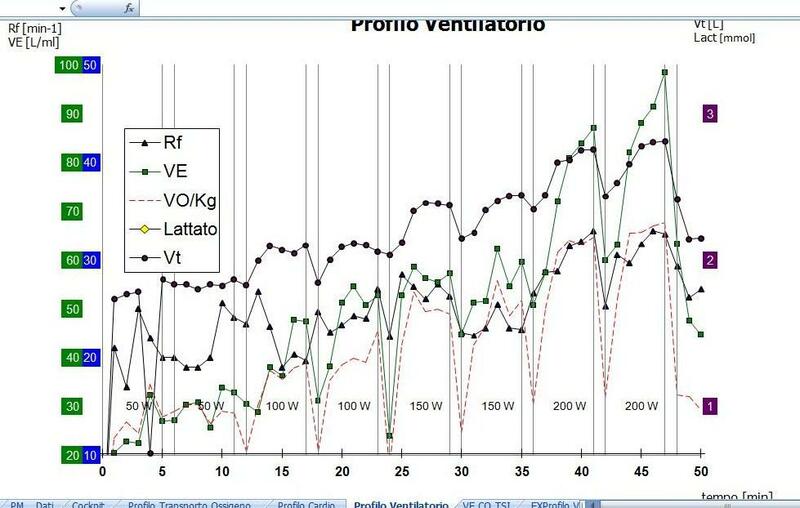 Each of this three disciplines had a different 'LIMITER" so the VO2 did really not changed when we look at it different, what changed was the ability to use O2 due to the different limitation of delivery and utilization. 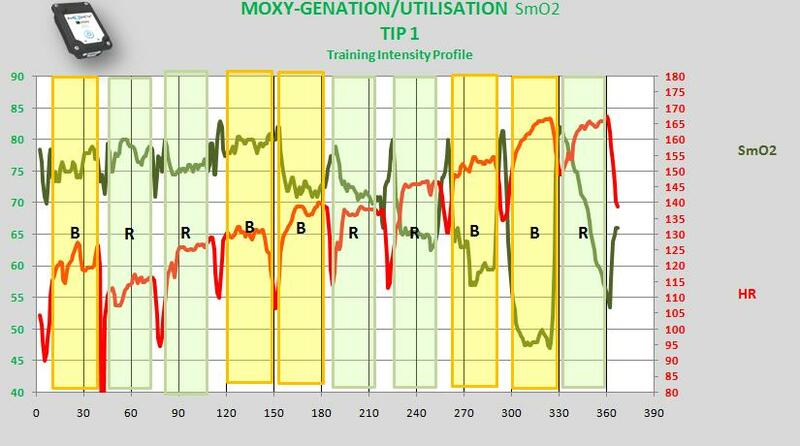 The same idea but using a MOXY on upper and lower and non involved muscle would have given us most likely more feedback than an absolute VO2 peak number and as such a much better idea on where limitations show up and what can we do with it, and what discipline we can use today to give a limiter form yesterday a rest. ???? Here a second example I like to show , as i discuss for the moment with a top Condition coach from a top league and a top team I( I tried to discuss but we gave up ). His point is, that he can do a VO2 max test on a bike with his NHL players and the VO2 max will be the same whether they ruin and whether they are on the ice. Now I do not argue against that small chance , that they may be perhaps once some player, who may show a close chance to have the same VO2 max in all three events, but what I asked is to see the test results they claim the science shows it. We have hundreds of test and never yet found a player who actually shows the same VO2 max on a bike than he shows on the ice or in running or on a skate mill. There are even accepted studies published who would argue that. And here for fun a real live example on the VO2 use when carrying something with different techniques. Now you see perhaps my point. Testing the many ice hockey players on a bike in a lab is great for the guy who likes to say, that he is the exercise physiological guy for this top team. BUT he does not supply any meaningfully ideas to the coaches on what can be improved in each player, if needed. But he for sure can charge a lot of money for a meaningless assessment each and every single player hates , but has to do , as it is so ordered and paid for. This in a decent similar time span so the current limitation and compensation and up to date and therefor we can use as well performance to compare how when just running performance looks or when just biking performance looks and how the limitation of running for example may influence the performance in cycling and vica verca. 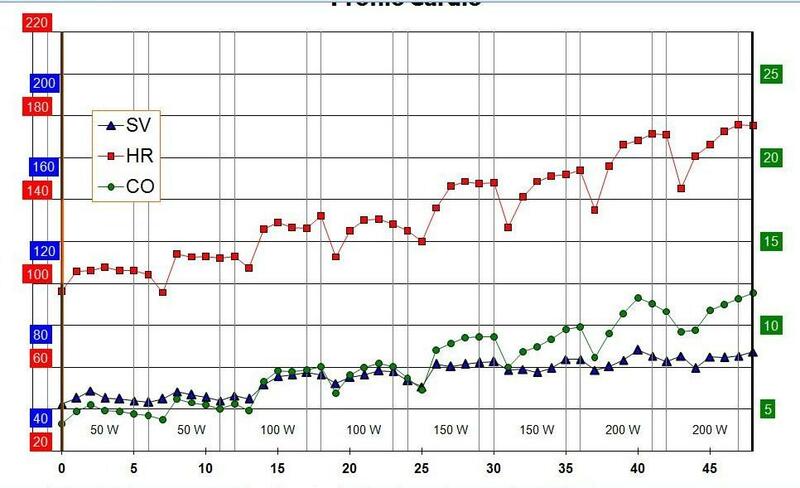 So I use for Sandy's example the bike test and the run test , but they are not up to date with the Brick test. It does not matter as an example but we still can see how one discipline may influence the other or from a positive point how I can use one discipline today to avoid a limiter overload I create yesterday in the other discipline. So here the graphs and some questions you can work on. First below an overview of all three assessments and the easiest way is to look just red (O2Hb.) and blue position in this bias graph. Biased here means that we look as if all would start by 0 and the trend now tells a us whether from the start we actually add O2 to the base line resting situation in this muscle or whether we actually always have less than start values.. So if Red goes up we add O2 so that indicates, we deliver more than we actually for the moment had at rest and use now under activity. If we have red below the blue , than we seem to have less O2 than at the start line and the delivery lags behind or is not sufficient enough when we started out.. ( very simple) So look at this below. Now lets' look at a very simple " zoning " idea and we look to find for running alone and biking alone ,the STEI intensity. ( the intensity, where supply and demand are balanced.) so we move in an intensity , where the limiter is just getting to his best performance and we do not yet try to ask compensators to try to help to maintain the current performance. Now below the same idea but biking only. Above a TIP bike and 180 is the wattage at the STEI on that day. Now if we put a tbrick together and we take performance or HR as intensity guide, than when we use TIP we have 12 km / h run and 180 watt bike or the HR accordingly to the assessment. When we take VO2 max ??? when we take FTP ? and when we take lactate threshold ??? The question rather is , whether any of the above ideas , including the TIP information actually work in a brick. ?? Or whether the smartes idea would be not to boder with any of the test results , use performance 12 km / h and 180 watt and HR as a potential guide to start out but really looking live what actually really happens during the brick so use MOXY live to really know, whether you do your brick work, if planned , in STEI for running today and STEI for biking today. So, as you can see during the brick, the STEI intensity for biking would be 165 +- watt and for running slightly below 10 km/h. So performance seem to be influenced due to the other discipline and in this client biking seem to influence much more the running performance. When you look at tHb reaction you may see perhaps why.? Can you see what I am looking at ? There is a huge decrease in blood flow happening on the bike, possible a metaboreflex? 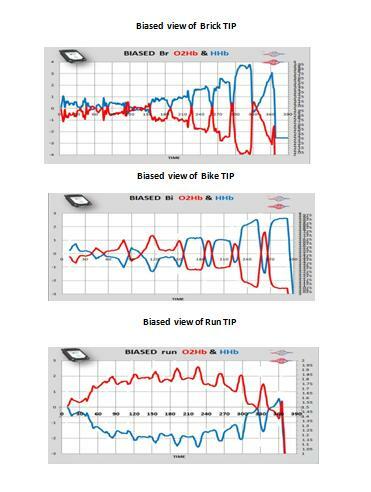 yes the tHb is clearly reacting very different in his bike load compared to running. : I do not know the answer " well My answer: I do not know , just have some ideas to discuss here. 1. If we do a SEMG assessment in running and biking, than we have a clear difference in SEMG activity in running and biking on the vastus lateralis. The SEMG activity is much lower in running compared with biking but it is as well much more " restless" ( eccentric ? Now SEMG activity alone are very dangerous to compare and the same is true , when we compare SEMG with left and right leg in biking..
Now the same may be true when looking just on MOXY /NIRS data when we compare. Let's see, whether I can get that though in swenglish but I may need some help if it is unclear. I take a 5 kg weight and lift my arm in extension in the sagital axis , gleno humeral joint position of 0 abduction - adduction and 90 degrees elevation so in simple words lift the arm straight forward up. I have a SEMG on my biceps and a MOXY on my biceps. Now I do the same but with both arms. Assumption that I have the placing perfect ( unlikely ever the case ). Now I have in the left arm a much lower SEMG activity compared with the right side .
. Question. Is the left arm stronger than the right or weaker. And depending on the answer what would we expect with MOXY SmO2 and perhaps even tHb ? Now if you have this answer you understand what I try to tell when comparing left and right leg with MOXY alone and right leg will show a lower or " better " SmO2 drop. Which one is the weaker or stronger leg, the one with a more extreme desaturation or the other one. The one with the higher SEMG or the one with the lower one.? I am not sure whether we can look at that when comparing run and bike, We can look at Bike only and see. Now remember. metaboreflex in respiration means that the respiratory system has problems with the needed baseline pO2. As such it will create over CNS a vasoconstriction to reduce the O2 to move to the locomotor muscles. As such we will see a tHb drop. Would we see a drop in SmO2 % ? 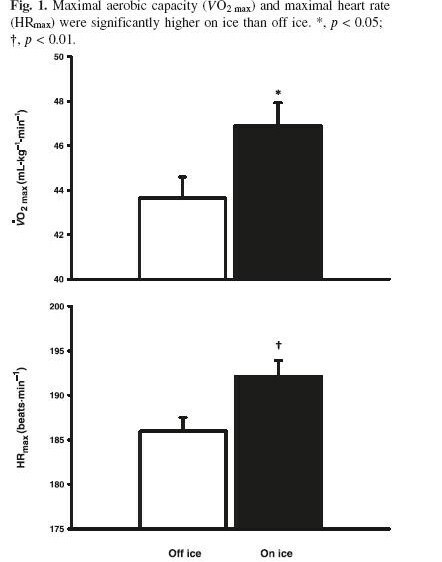 I think in this case the clear drop in tHb is perhaps more due to the much higher involvement in performance of vastus lateralis in biking compared to running so more muscle compression. Now if we ave much higher involvement during running and it is a concentric activity than the question is whether despite the lower but still needed involvement in running may loose performance due to the clear higher load during biking.? As you can see many questions. In this cases I start to play around with different ideas. like actually loading vastus lateralis eccentric and than bike and vica verca in the gym. . So the different options and see how the respond is. This than can be translated in the race as a preparation from bike to run depending on the reaction. A possible big challenge is the change from concentric to eccentric work in bike to run. load for about 20 - 30 seconds down than immediately change in a step uphill ,so extreme change from eccentric to concentric and see how the reaction is..
( Now bad cook book really what i do is i use MOXY for the eccentric load duration and as well for the concentric load duration together with tHb . Try it out look how tHB reacts during eccentric and concentric. Very interesting SEMG reaction when you do this games. What do you expect. Hint go back to the forum where we showed Eric's ( Finland;and ) stair climbing up and down reactions. ). I would assume the right arm is stronger and would have a lower SmO2.